Montiff Pure L-Citrulline helps detoxify ammonia, promotes energy, stimulates the immune system, and metabolizes to form Arginine for Nitric Oxide production for endothelial and cardiovascular support. I like the effect of adding a small amount of this amino acid to a dose of Vas-cu-Care and Tri-Phos B. The Citrulline seems to magnify the pleasant nitric oxide rush I get from the Vas-cu-Care. Citrulline, an essential component of the Urea Cycle, helps detoxify ammonia, promotes energy, stimulates the immune system, and metabolizes to form Arginine, which is very important for Nitric Oxide production for endothelial and cardiovascular support. Each capsule of Pure L-Citrulline contains 600 mg. of the highest quality Citrulline available. • The production of Nitric Oxide, which is necessary for endothelial health and proper circulatory function. • Urea Cycle function. Citrulline, as an essential component of the Urea Cycle, is necessary to help detoxify ammonia and convert it to Urea. • Ornithine Transcarbamoylase (OTC) Deficiency, which is a genetic Urea Cycle disorder causing a Citrulline deficiency. 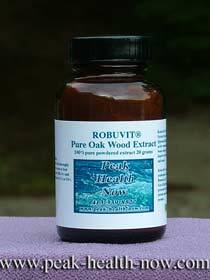 • Promoting energy and stimulating the immune system. • Citrulline, a non-essential amino acid synthesized in the intestinal tract from Glutamine, converts to Arginine in a biochemical process involving Aspartic Acid and two necessary enzymes, Ornithine Transcarbamoylase and Argininosuccinate Synthetase. As a precursor to Arginine, it has a sparing effect on Arginine enabling an increase in Nitric Oxide production. Nitric Oxide (NO) is very important for endothelial support and cardiovascular health. Citrulline increases energy and stimulates the immune system, as well. • Citrulline is also an essential component of the Urea Cycle, and functions along with Ornithine and Arginine to convert ammonia into Urea. High ammonia levels are extremely toxic and can cause liver damage and neurological impairment. Supplementation with Citrulline has been very beneficial in a genetic disorder called Ornithine Transcarbamoylase (OTC) Deficiency. Citrulline is a precursor to Arginine, which has been shown to increase Nitric Oxide. Since up to 80% of Arginine is utilized in the liver and kidneys, only 20 % is available for cardiovascular support. Supplementing with Citrulline produces a sparing effect allowing for additional Arginine production intracellularly for cardiovascular function. 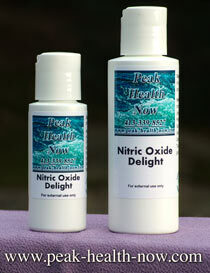 Nitric Oxide (NO), the endothelial relaxing factor (EDRF), is a small molecule made from Arginine. It plays an essential role in the regulation of vascular homeostasis, modulates cardiac contractility, regulates vascular tone, and helps in preventing vessel injury and Atherosclerosis. Oxidative stress (free radicals damage) creates injury to endothelial cells. Citrulline converts to Arginine in the vascular cells, and thus increases Nitric Oxide production, which can help to restore endothelial cell function. The role of Nitric Oxide and Arginine supplementation, as well as the role of Citrulline in endothelial function has been well-documented in medical studies. Dr. S. Gross (Cornell U. Med. College) in his publication in the J. Biol. Chem., 1997 suggests the ratio of 3 Arginine to 1 Citrulline for Nitric Oxide production. • Those with active Herpes who need cardiovascular support should reverse the Citrulline/Arginine ratio to 3 Citrulline to 1 Arginine, since Arginine can stimulate the Herpes, and similar viruses. This ratio can help increase Arginine intracellularly. Lysine supplementation may also be advisable in some cases. • The Urea Cycle functions to remove toxic ammonia by converting it to Urea (primarily in the liver). Ammonia is a highly toxic substance synthesized from protein and amino acid catabolism, and is also formed in the intestinal tract. 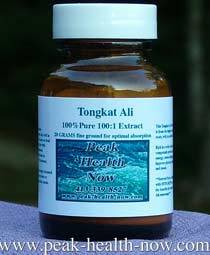 It is extremely high in liver disease and contributes significantly to hepatic failure. It is also highly elevated in 6 Urea Cycle disorders of enzyme deficiencies (OTC, CPS-Carbamoyl Deficiency, ALD-Argininosuccinic Aciduria, AG-Arginase, ASDCitrullinemia and NAG S-N-Acetylglutamate Synthestase) which are genetic biochemical abnormalities that can be fatal. Athletes also tend to have somewhat elevated ammonia levels. • The Urea Cycle functions in a complicated biochemical process in which Ornithine, Citrulline, Aspartic Acid, Argininosuccinate Acid, Fumaric Acid, and Arginine, along with the necessary enzymes and Carbon Dioxide convert ammonia to Urea. All of these are components and function as the Urea Cycle. Since high levels of ammonia are extremely toxic and may lead to death, it is essential for the Urea Cycle to perform properly. OTC is a genetic disorder of the Urea Cycle in which there is a Citrulline deficiency. This is a serious genetic Urea Cycle disorder effecting an estimated 1 in 20,000 births. Ornithine Transcarbamoylase is the second enzyme in the Urea Cycle and is necessary to produce Citrulline. A deficiency of this enzyme causes a lack of Citrulline, thus the Urea Cycle cannot function properly and the result is hyperammonemia. It has been linked to SIDS deaths in newborns, and Reye's syndrome in children, since it is often undiagnosed. Symptoms of the neonatal onset disorder may appear in first 24 hours of life with vomiting and lethargy, followed by neonatal seizures and coma. This disorder often presents in males in the neonatal period, although partial enzyme deficiencies also affect both males and females in childhood and adulthood. This late onset form of the disorder may present In childhood with recurrent symptoms including lethargy, migraine-like headaches, persistent vomiting, dehydration, hyperactivity, bouts of screaming, acute taxia, retardation and coma. There are cases of female carriers of this disorder developing symptoms as adults as well. If untreated, it is 100% fatal, and there is no known cure. Limiting dietary protein, special formulas and Citrulline supplementation are advised to increase Urea Cycle function and reduce ammonia. DIRECTIONS: Take 1-3 capsules three times a day, or as needed. For cardiovascular support take along with Arginine at a ratio of 3 Arginine to 1 Citrulline. For cardiovascular support for those with active Herpes, or similar viruses, reverse the ratio to 3 Citrulline to 1 Arginine. The addition of L-Lysine may also be recommended. Take with water or fruit juice. Do not take with milk or dairy products. To help metabolize Citrulline, Montiff Vita-Minz Plus is recommended. Citrulline is also included in Montiff Vaso-Lene endothelial formula. • Gross SS, Cornell Univ. Med. College, " Argininosuccinate Synthetase Overexpression in Vascular Smooth Muscle Cells Potentates Immunostimulant-Induced NO Productions", J. Biol. Chem., Jun 1997. • Panza, Julio A, M.D., and Cannon III, Richard O., M.D. edited by, Endothelium, Nitric Oxide and Atherosclerosis, 1999. • Korbut,R., PhD.,Bieron, Krzysztof, Bieron, M.D., Gryglewski, M.D.,D.Sc., N.Copernicus Univ, School of Med, . "Effect of LArginine on Plasminogen-Activator Inhibitor in Hypertensive Patients with Hypercholesterolemia", "New England J. of Med., Jan. 1993. • White PhD, Handler PhD, SmithPhD, Hill, PhD Lehman PhD, Principles of Biochemistry, 1978. Scriver, C, MD., Rosenberg L, MD., Amino Acid Metabolism and its Disorders , 1973. Pediatric Database (PEDBASE) updated 5/19/94. • Cynober. Luc (edited by), Amino Acid Metabolism and Therapy in Health & Nutritional Disease, 1995.